You have reached the page where we peddle our wares. Please take a moment to browse, and check back regularly because our product turnover is quick. Our products are unique and are released in short and limited runs. Keep an eye out for special and exclusive collaborations with our artists and brands in the near feature. 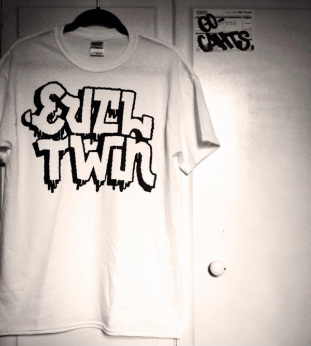 ©EVILTWINLDN 2015 — All rights reserved. If you would like to steal any of our ideas, please do consult us first.